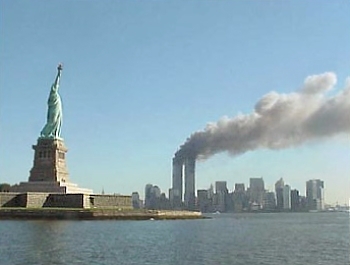 Ron Silver, who died this last weekend, delivered that great line not in a movie, on TV or as an actor: he spoke those words about the 9-11 attack by al-Qaeda upon the people of the United States as an American. And he spoke those words despite the fact that he knew Hollywood would reject him. And Hollywood did reject him. The land of the free and the home of the brave still has trouble in some places, at some times and among some people; in accepting alternate views. We salute Ron Silver and all men who stick by their guns. Because Russia gave Kyrgyzstan a $2 Billion loan and asked them to close the U.S. air base on their soil…. President Dmitry Medvedev said Wednesday that Russia and its ex-Soviet allies want to help the United States stabilize Afghanistan, saying Moscow wanted “full-fledged” cooperation with Washington. He spoke a day after the ex-Soviet republic of Kyrgyzstan announced it would evict the U.S. from an air base key to the Afghan war. Kyrgyzstan made the move after getting a promise for $2 billion in loans from Russia — which resents the American presence in a region Moscow regards as part of its traditional sphere of influence. The possibility of the base closure poses a serious challenge to the new U.S. administration and President Barack Obama‘s plan to send up to 30,000 more American forces into Afghanistan this year. “Russia and other (alliance members) are ready for full-fledged comprehensive cooperation with the United States and other coalition members in fighting terrorism in the region. This fight must be comprehensive and include both military and political components. Only in the case will this have a chance to succeed,” Medvedev said. It was not clear if Medvedev’s reference to “full-fledged” cooperation was an attempt to reassure Washington or an indication that Moscow would seek concessions in exchange for helping keep the Manas air base open. Russia has appeared open to aiding the U.S. and NATO in Afghanistan by facilitating attempts to find northern alternatives to Pakistani supply lines increasingly threatened by militant attacks. But Moscow also wants to protect what it says as its strategic backyard by blocking the possibility of NATO membership for Ukraine and Georgia. Russia has also vehemently opposed U.S. plans to put a missile defense system in the Czech Republic and Poland. Medvedev appeared to criticize U.S. efforts on stabilizing Afghanistan, saying it would be impossible to defeat terrorism there only using military means. You are currently browsing the archives for the al-Qaeda category.